While the adverse effects of antibiotic use on the human microbiome are well documented, other commonly used medicines are having a similar impact, warn researchers. We have a symbiotic relationship with friendly bacteria that covers a lot of territory. That colony of helpful bacteria is sometimes called our "forgotten organ." 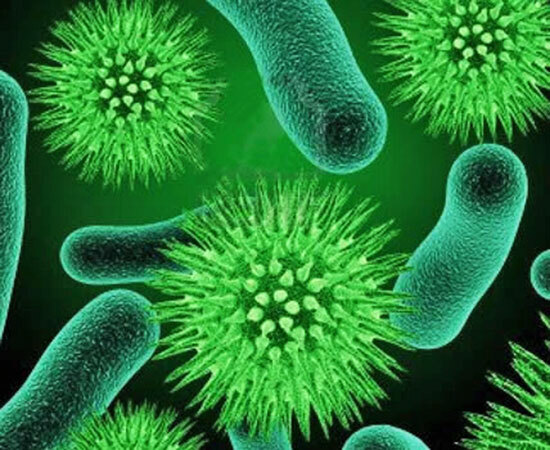 Physically, a gut flora imbalance allows pathogenic bacteria and fungi to infect our bodies. If the bacteria in our digestive systems are out of balance (or absent), a chain of undesirable events is initiated including improper digestion, malnutrition and incomplete absorption of nutrients. The beneficial bacteria in our digestive tracts produce necessary vitamins including B vitamins and K vitamins. Without the beneficial bacteria in our digestive tract, vitamin deficiency can result. A host of drugs designed to target human cells, and not microbes, may be associated with microbiome composition changes, warn researchers from the the European Molecular Biology Laboratory (EMBL) in Germany. These include anti-diabetics, proton pump inhibitors, non-steroidal anti-inflammatory drugs and atypical antipsychotics, they say. Writing in Nature (Extensive Impact of Non-Antibiotic Drugs on Human Gut Bacteria), the team behind the study describe the full extent of the effects, which suggest that over a quarter (250 out of 923) non-antibiotic medications reduced the growth of at least one species of human gut bacteria in vitro. Predictably, 78% of the antibacterial drugs examined were active in inhibiting numbers of one or more species. However, the proportion (27%) of non-antibiotic 'human targeted drugs' (HTDs) that were also found to be active was not anticipated, according to the scientists. "The number of unrelated drugs that hit gut microbes as collateral damage was surprising," said study senior author Professor Peer Bork. "Especially since we show that the actual number is likely to be even higher." There are two reasons for this potential underestimate, suggested the scientists. Firstly, concentrations of the drugs in the ileum and colon may be different to plasma levels, which is where they are typically measured. "More human-targeted drugs would inhibit bacterial growth if probed at higher doses, closer to physiological concentrations," noted Bork. Additionally, the researchers only screened a representative sample of a healthy microbiome containing 38 species (mostly beneficial 'commensal' varieties, but also including four pathogenic species). In practice, the human gut contains hundreds of species and an even larger strain diversity, the researchers explained. "Analysis indicates that if more gut species were tested, the fraction of human-targeted drugs with anti-commensal activity would increase," Bork added. Most drugs analyzed in the study were active against small subsets of bacteria. However, 40 medications reduced the abundance of 10 or more strains. The researchers found not only that side effects from HTDs resembled those of antibiotics, but also that resistance mechanisms of microbes to the two types of drugs had a large degree of overlap. "This shift in the composition of our gut bacteria contributes to drug side-effects, but might also be part of the drugs' beneficial action," explained Bork. The latter finding highlights the previously unnoticed risk that non-antibiotic medicines may also promote antibiotic resistance. "This is scary," said Dr. Nassos Typas, "considering that we take many non-antibiotic drugs in our life, often for long periods. Still, not all drugs will impact gut bacteria and not all resistance will be common. In some cases, resistance to specific non-antibiotics will trigger sensitivity to specific antibiotics, opening paths for designing optimal drug combinations." The results of this study will be useful in further research exploring drug-microbe interactions and could pave the way for the development of personalized solutions, suggested Dr. Georg Zeller. "We are excited to move on and explore drug-microbe interactions in complex gut microbial communities, as this will help us understand how individuals sometimes respond differently to the same medication," said Zeller. "This is just the beginning. We don't know yet how most of these drugs target microbes, how these effects manifest in the human host, and what the clinical outcomes are. We need to carefully study these relationships, as this knowledge could dramatically improve our understanding and the efficacy of existing drugs."